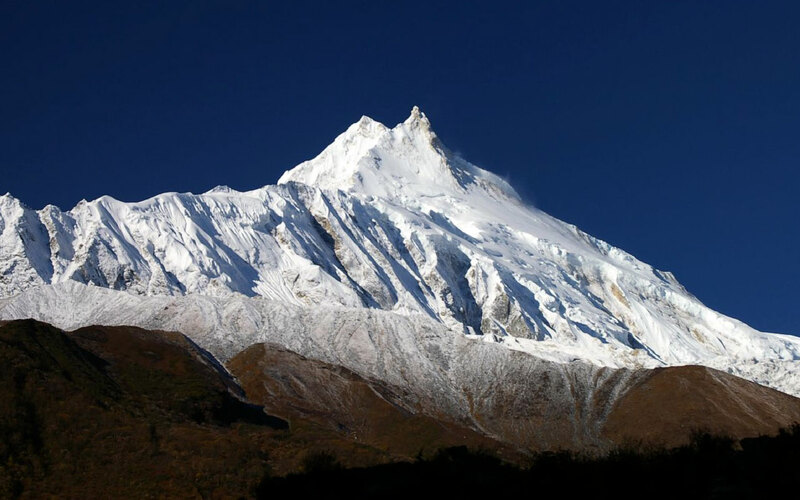 The Manaslu trek begins either in the town of Arughat Bazaar or Gorkha Bazaar and ends in Besisahar. 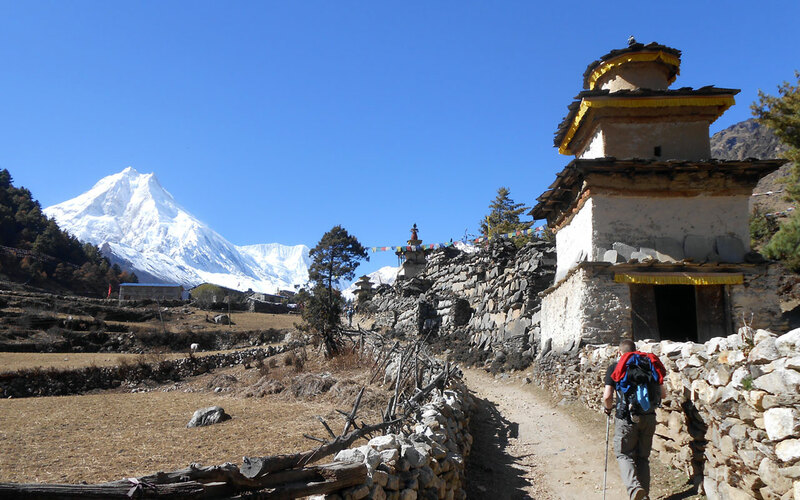 It’s a beautiful trek, with spectacular views of the Manaslu and going through authentic Hindu and Tibetan-style villages. 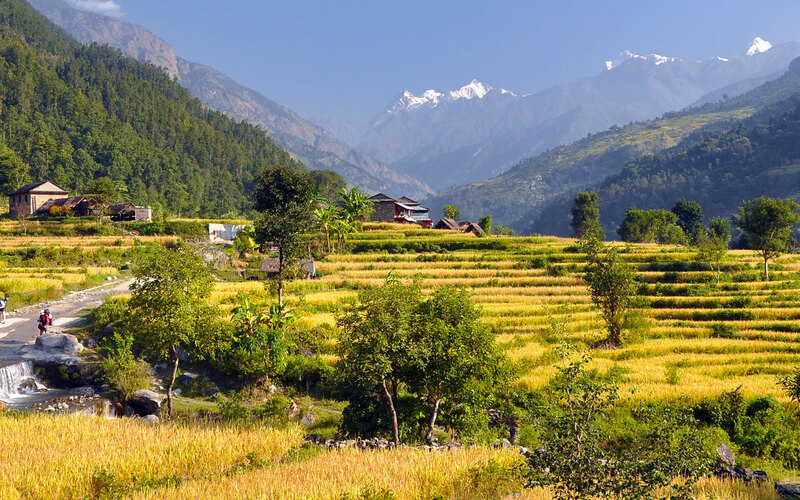 You start low, walking through green countryside, and passing small Hindu villages. 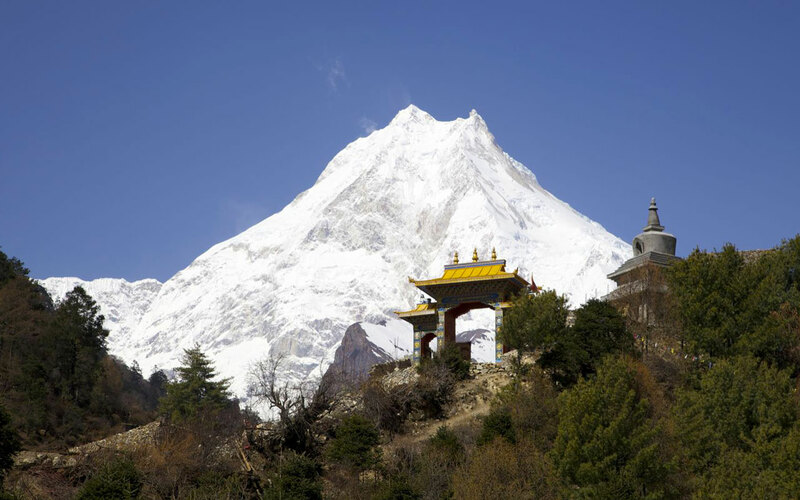 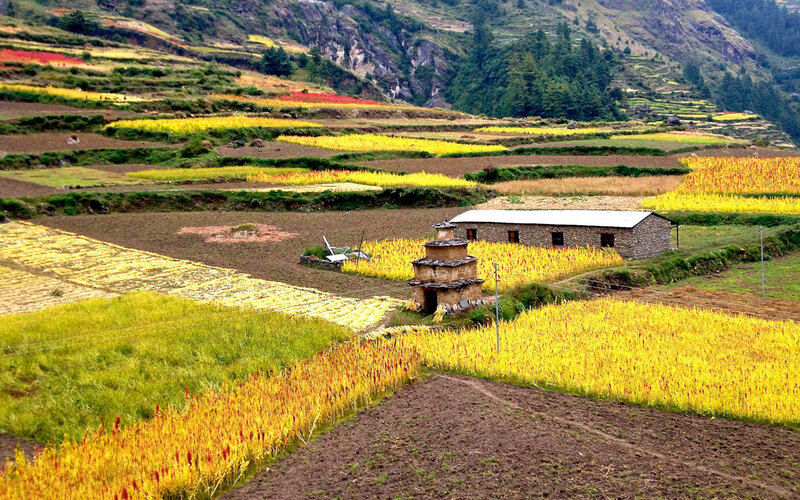 Heading northwards, the valley opens up to reveal delightful alpine meadows and small Tibetan-style villages which cluster beneath Manaslu’s sweeping North Face. 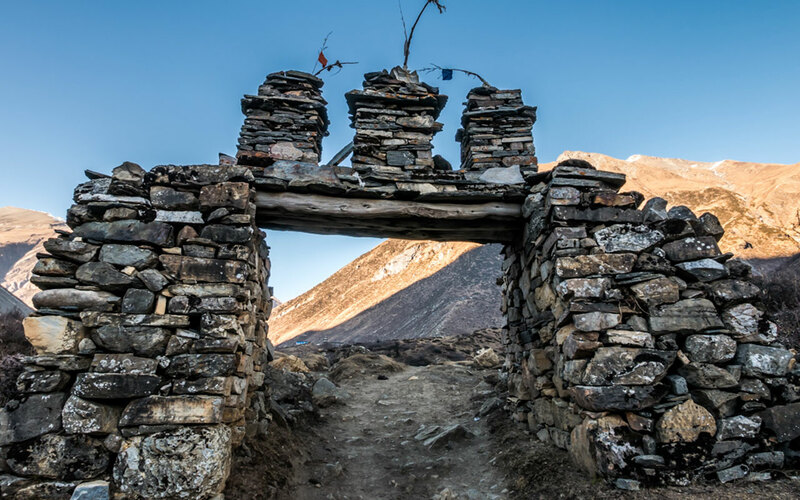 Eventually the trail reaches Samagaon, the largest and most important village in the region. 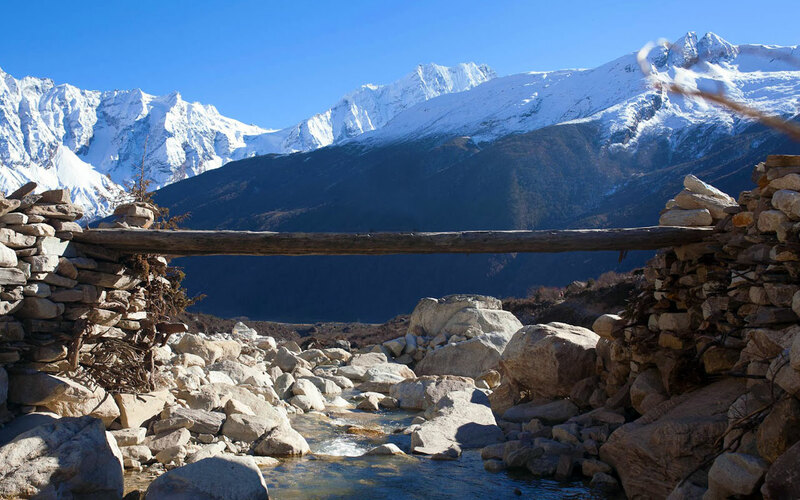 From here you head west and cross the Larke Pass (5100 m), a classic and tough route linking the Buri Gandaki with the Marsyangdi valley. 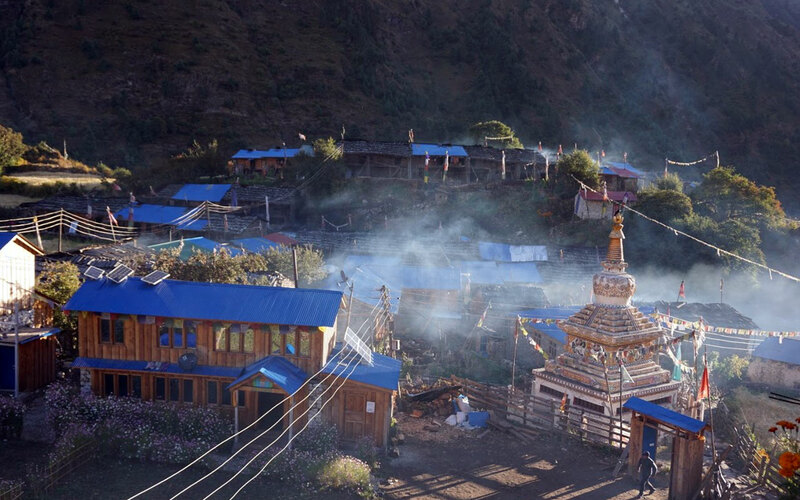 The descent passes through beautiful alpine meadows at Bimtang, before joining the main Annapurna Circuit route and heading to the trailhead at Besi Sahar. 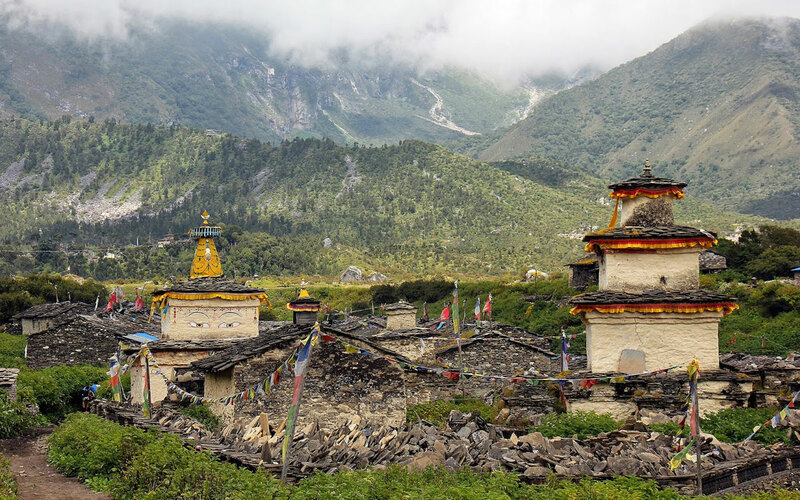 This remote mountain haven and conservation area is home to the endangered snow leopard and was only opened to trekkers in 1992. 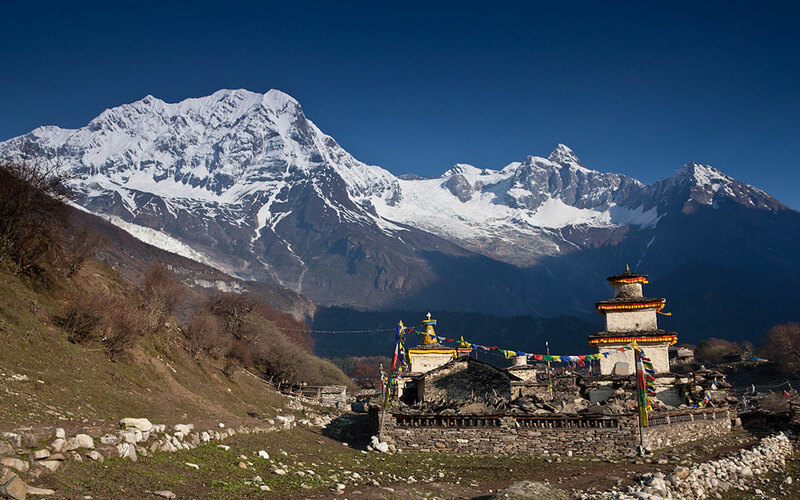 The route has only just become available to do as a teahouse trek and is part of The Great Himalayan Trail. 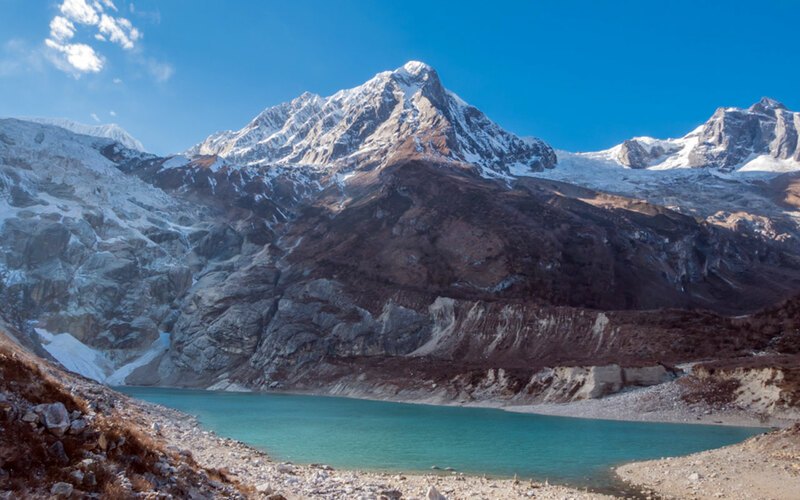 A spectacular alternative to the Annapurna Circuit or Khumbu region, the dramatic landscape of the Manaslu Circuit is a trek truly off the beaten track. 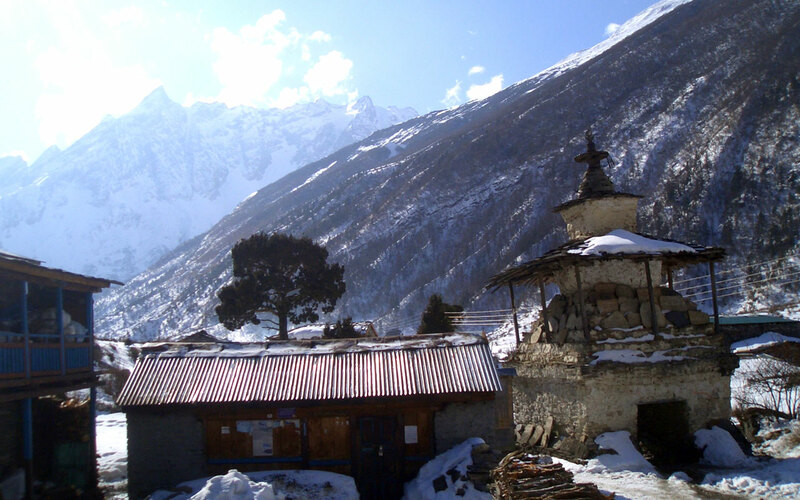 All personal expenses like alcoholic beverages, bottled drinks, telephone calls, laundry etc. 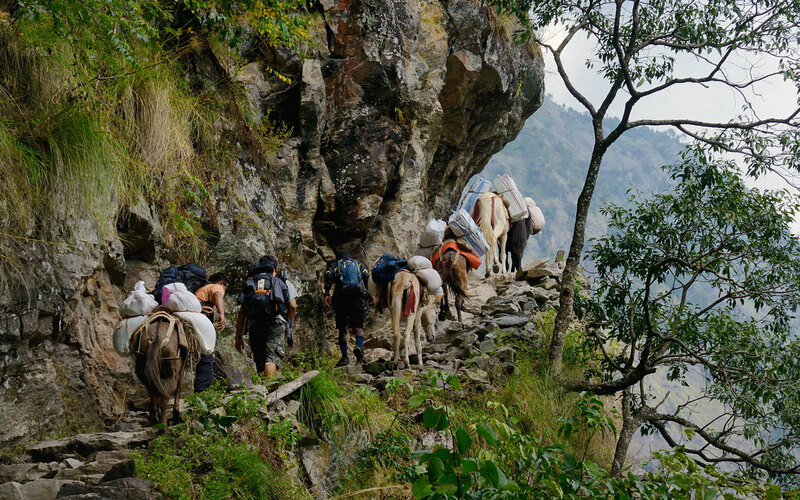 © 2019 Sherpa Trekker - All Rights Reserved.